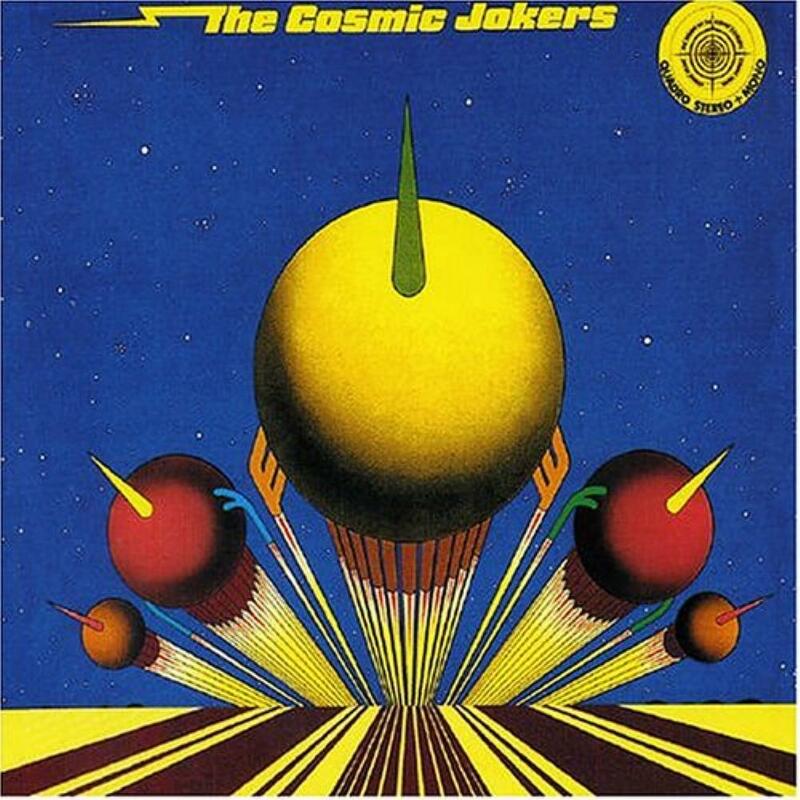 Let's go straight to the point: COSMIC JOKERS is what ASH RA TEMPEL would have sounded in 1974 if Manuel Göttsching hadn't change direction after the departure of Hermut Enke: long immersive and trippy psychedelic / space krautrock jamming. Furthermore, the formula is identical: the first side is more rock-oriented, whereas the second side is more ambient and spacey. To be honest, Klaus Schulze's synthesizers are a bit more present, but this was a logical evolution in the genre in the mid-70's. The two tracks are 20 minutes improvised pieces recorded in 1973 during sessions organized by Rolf-Ulrich Kaiser at Dieter Dierks' studio. The first side, "Galactic Joke", is undoubtedly a little star in the space rock universe. Mainly dominated by guitars, it features different ambiances: mysterious, spatial, ferocious, and even sounding sometimes like HAWKWIND! You'll travel far far across the universe... The mystical finale is simply stellar! Any krautrock fan MUST hear this. Mindblowing! An excellent soundtrack for exploring the galaxies, with a quality on par with ASH RA TEMPEL's best compositions. The second side, "Cosmic Joy", is unfortunately not as cosmic as the first one. More driven by keyboards, this ambient track feels rather like strange electronic short passages put together, sometimes nice, sometimes chaotic. It has a few nice moments, however does not really succeed at building something. Although the sonorities can remind Klaus Schulze's early solo works, the entire piece lacks overall musical direction. A bit deceiving after the galactic journey of the first side. Keep in mind that "Cosmic Jokers" consists in improvised sessions, which were not supposed to be officially released as a studio album, not more from under an official band name! Despite all this, you can see the performers' talents, as this disc offers one of the finest example of 'Kosmische Musik'. Recommended to space rock and krautrock fans, and simply essential for ASH RA TEMPEL lovers!